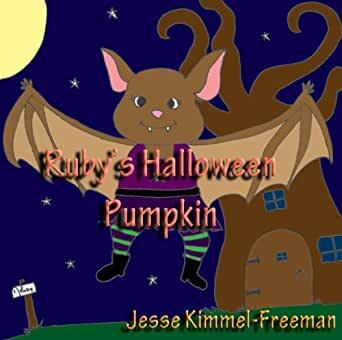 Ruby's Halloween Pumpkin - Kindle edition by Jesse Kimmel-Freeman. Children Kindle eBooks @ Amazon.com. Jesse now lives in a small town in the middle of nowhere. She moved from the chaos of Los Angeles. Yes, she misses it. It is not uncommon for her to be asked why she moved from such a busy place to the one horse town- the answer is simply to allow her kids to grow up with their grandparents. 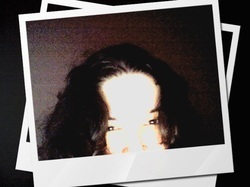 Jesse has studied anthropology and used her "education" as an excuse to hang out with vampires- her masters' thesis was going to be modern vampire culture. They really do exist. Vampires have been her obsession since she was about five years old when she swears she was bitten by one. She enjoys reading and writing. But most importantly being a crazy mom to her son, new daughter, and ever growing pet family. Singing silly songs at the top of her lungs and embarrassing her son is one of her favorite activities. She considers herself to be an odd duck. I bought this illustrated children's book for my three year old and he found it delightful! I enjoyed the interactive nature of the text and he enjoyed choosing his favorite pumpkins. Very cute.